Ever heard the expression 'Less is more'? In this case it is true. Save space and add elegance to your cooking and dining. If you are looking to add more style to your table and more flavor to your food, the Kuisiware Salt and Pepper Grinder Set is exactly what you need. Built for more flavor and fewer turns, the Kuisiware Salt & Pepper Mill features a ceramic mechanism for smooth operation, finesse and quality. • Smooth operation with many grades of grinding thanks to high-performing ceramic grinding mechanism. Once you open the box and use it for the first time, you will ADORE this grinder. It not only takes less space on your counter, but having the both salt and pepper in the same container makes it very handy and a pleasure to use when cooking. You will love to show it off at your next dinner party, guaranteed! All my life I have used a traditional salt and pepper shaker. Sometimes if you knock into those things it can be quite a mess to clean up. If your superstitious, knocking over one can even bring bad luck. You do not need to worry about either being an issue with a grinder. Standard salt and pepper grinders still can take up a lot of room. I am always up for ways to de-clutter even the simplest of things. 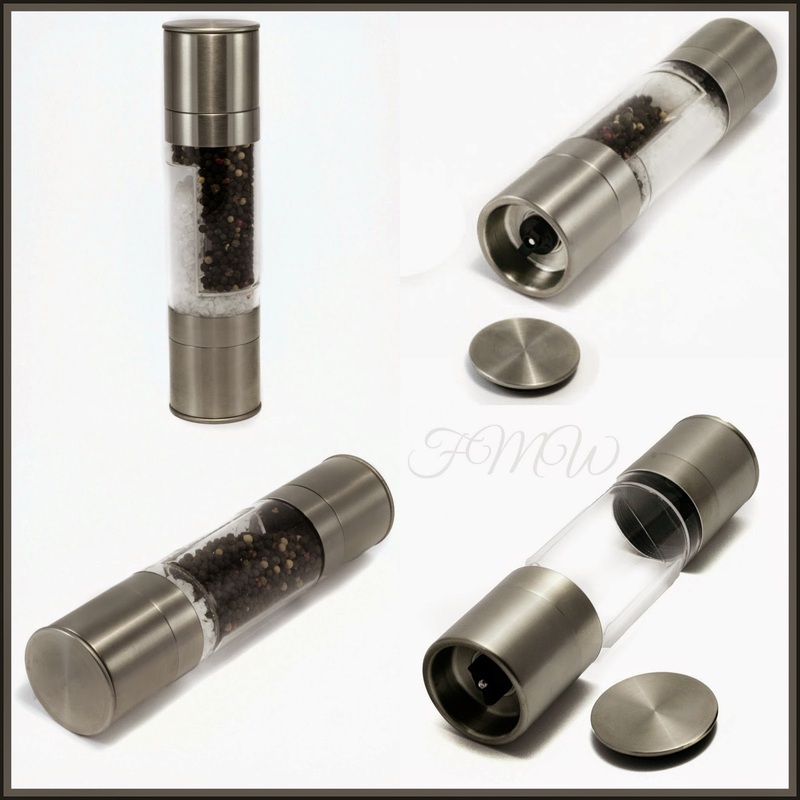 So when I came across the 2 in1 Salt and Pepper Grinder by Kuisiware I was intrigued. It's unique modern design was perfect for my decor. Knowing how much salt and pepper you really have left is so genius. I typically use salt and pepper when I am cooking and 1 massive hole or 4 little holes releasing my spice isn't going to cut it. So I put up my traditional shakers and have only used the Kuisiware since. Filling the grinder was extremely easy and took less than a minute. Once you screw the lid back on even with the cap removed the salt and pepper is trapped behind the grinder. It will only release them if you turn or swivel the top. It works perfectly! No longer do I need to keep up with 2 space takers. 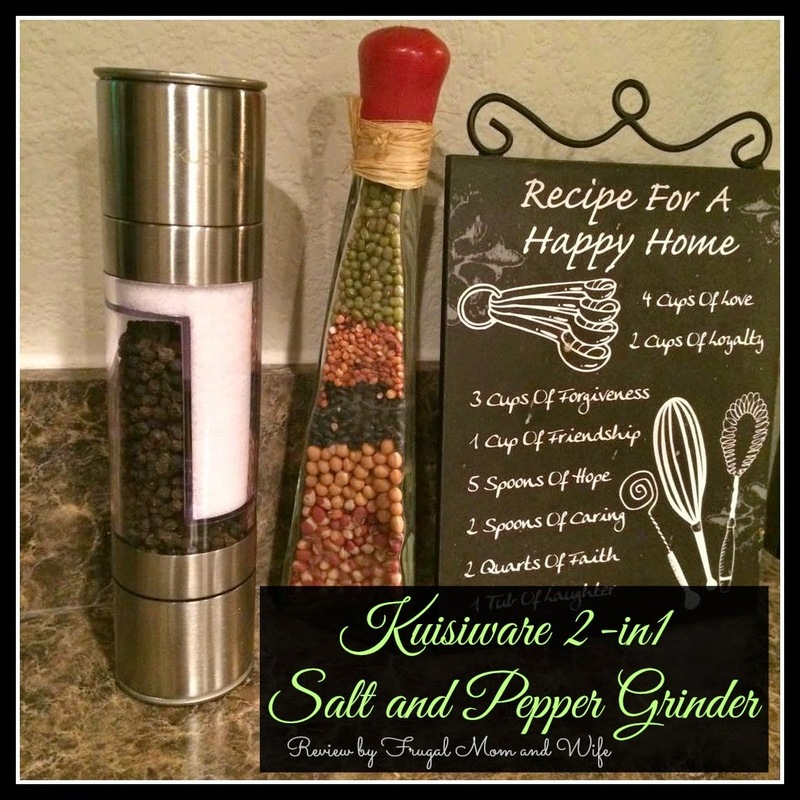 I simply love the 2-in1 Salt and Pepper Grinder by Kuisiware!